These are copyright, and are not necessarily indicative of the standard of difficulty of the whole edition. Prices on this page do not include Australian GST. Australian residents please add 10%. These 6 dances were hitherto unpublished works by Thomas Baltzar. They are chordal in style. The edition contains a Praeludium, Allemande, Sarabande, Allemande, Courante and Sarabande. They come from the Oxford Bodleian MS Mus. Sch. F.573. 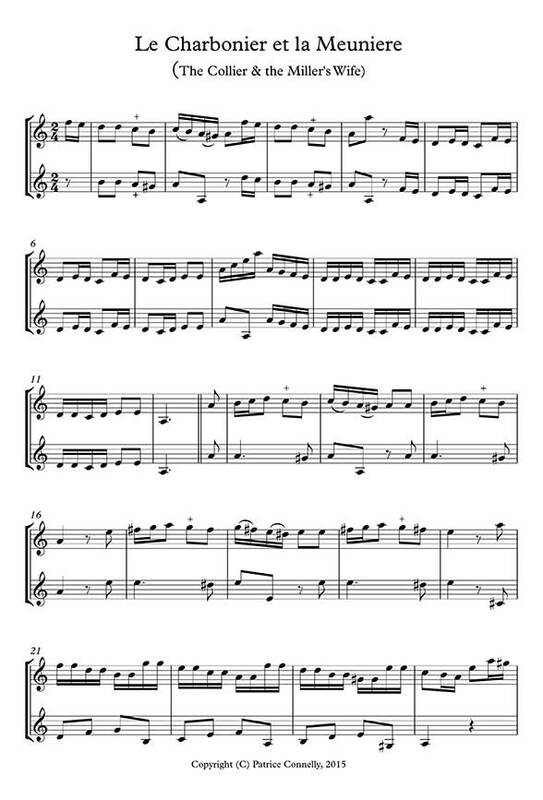 The same music as SM3, but transposed down a fifth and put into alto clef for viola. No other changes made. This should be a valuable addition to the scarce 17th century repertoire for viola. 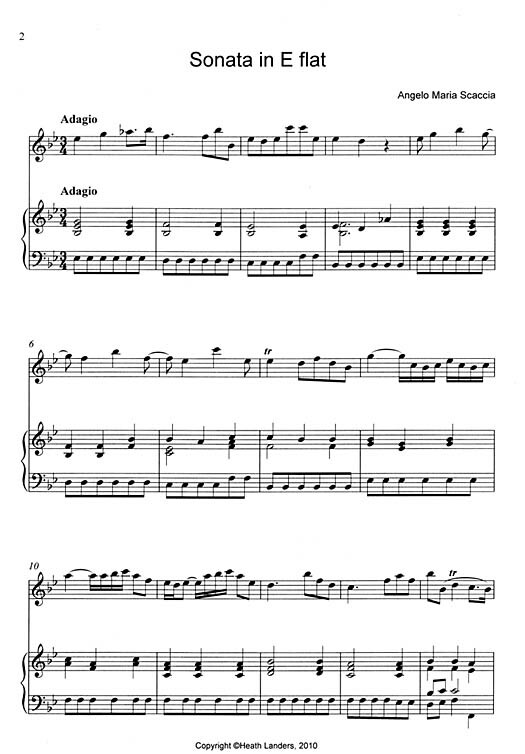 This sonata was written for flute but can also be played on violin or recorder. It is not particularly difficult music. 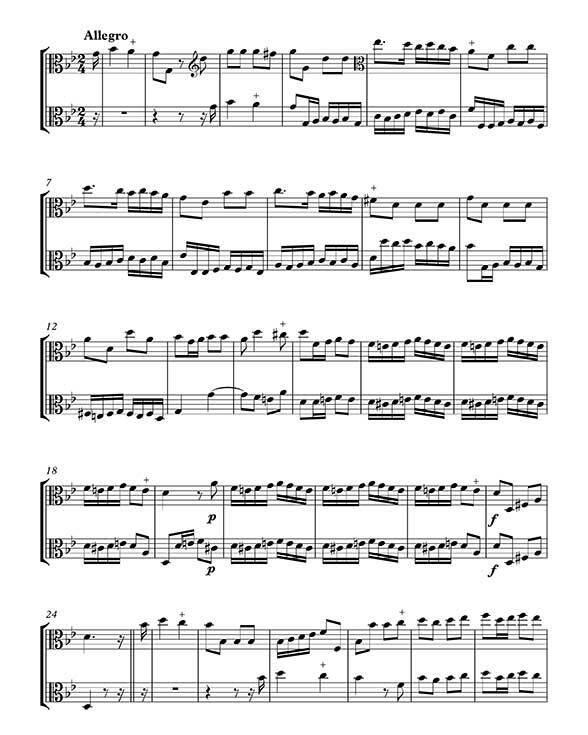 The figured bass has been realised, and it comes with flute, bass and keyboard parts. The figured bass is also given. These two pieces of divisions for solo violin (with optional keyboard accompaniment) are not terribly difficult, and are fun to play. Old Symon was taken from a manuscript, while Woodycock is an arrangement of the bass viol piece. Another of Ben Thorn's arrangements of music by early female composers. Daughter of the famous Giulio Caccini, Francesca published these two works in 1618. This piece would also work played on violin. 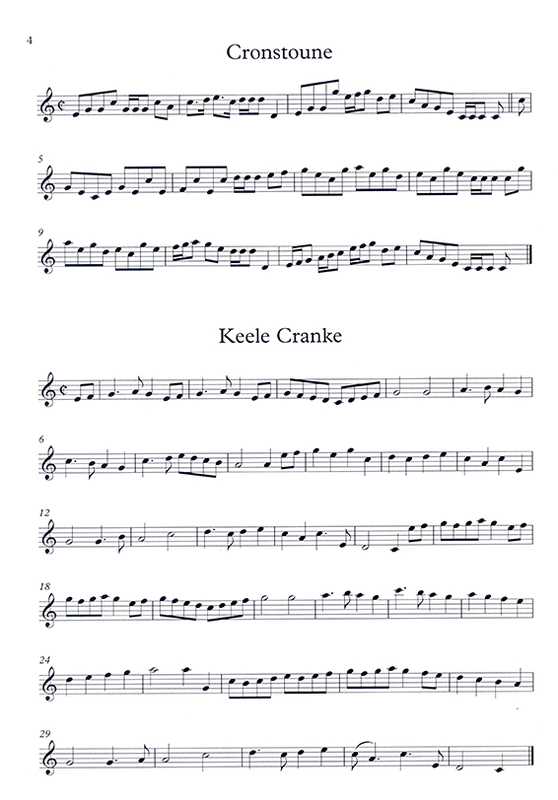 Originally for two flutes, this charming suite has been transposed and put into bass clef to suit cellos. It is quite a substantial suite, and suitable for teaching or performance. SM30 is an arrangement of the same work for 2 viols or violas. (See the viol duos page for details) Two scores. 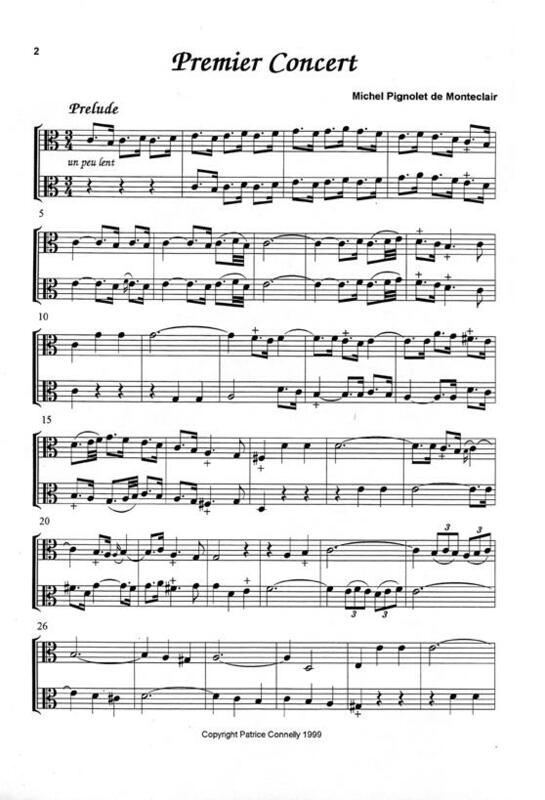 This sample page is from the viols edition. 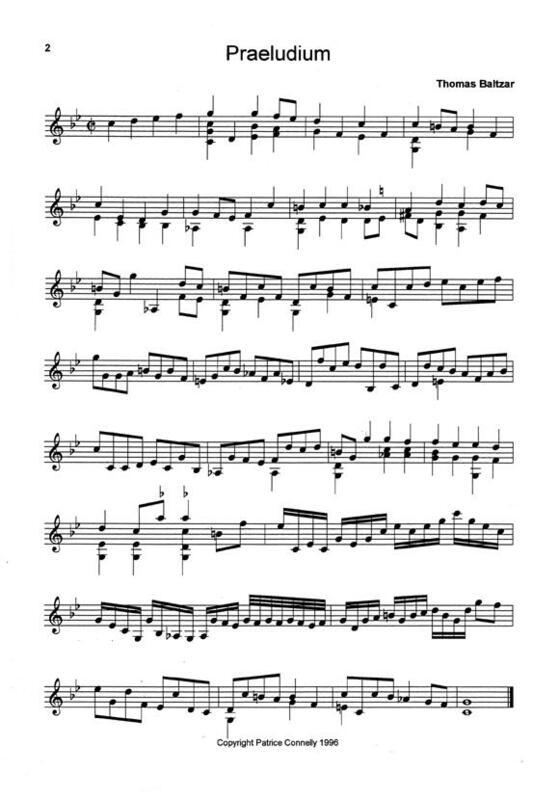 Two violin sonatas by Angelo Maria Scaccia, from a manuscript in Cambridge University Library, edited by Heath Landers. Scaccia was one of the Milanese School of violin performers and composers. This is a first edition. 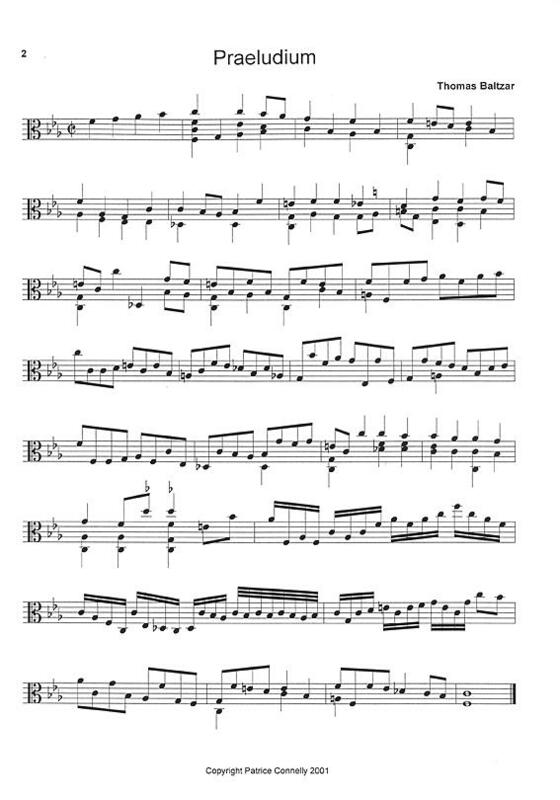 These are six interesting sonatas which date from 1739, and were republished in 1765. They were written for two flutes, or violins, oboes or pardessus de violes. This is a critical performing edition with commentary and an extensive intro. Two volumes, with 3 sonatas in each. Single score. 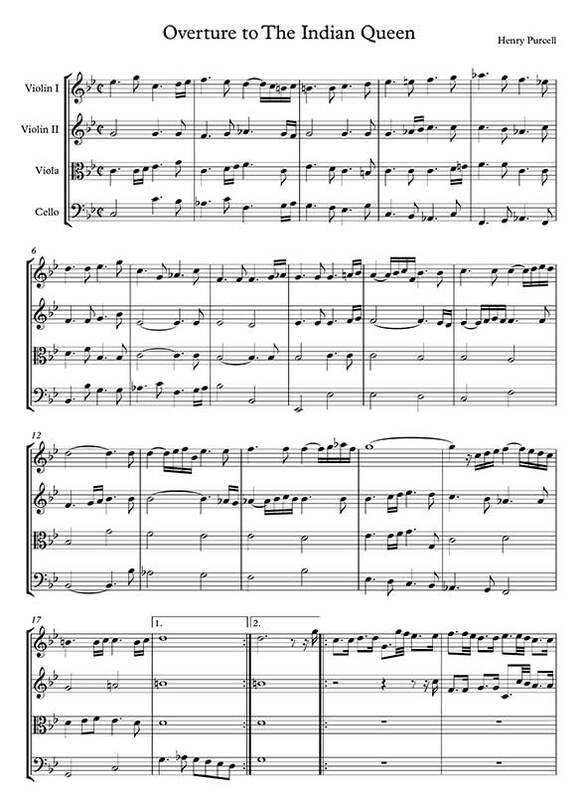 This music is the same as SM104-105, but transposed down a fifth for 2 violas. 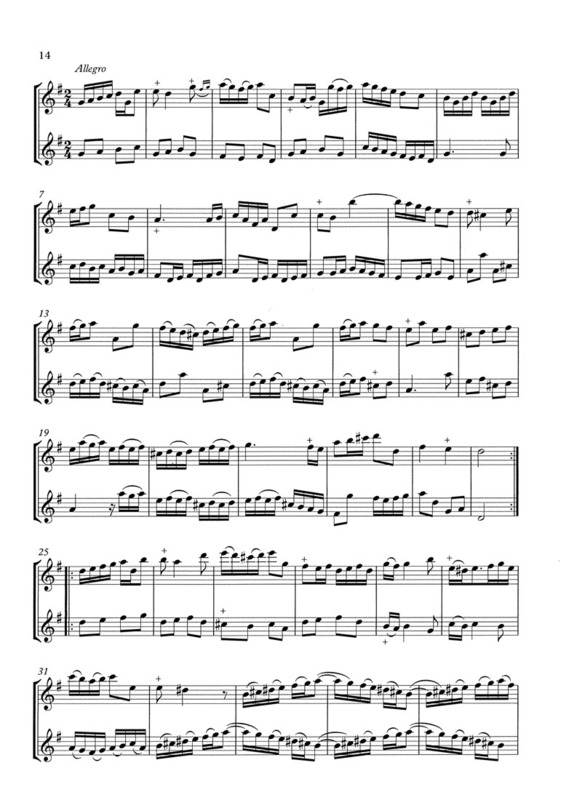 The commentary relates to the original flute edition. Two volumes, with 3 sonatas in each. Single score. 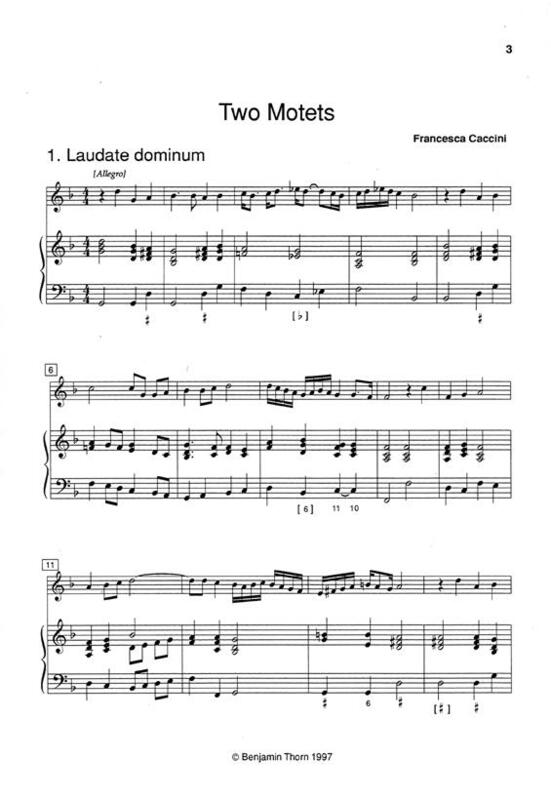 Michel Corrette was a prolific composer, not only of music, but of instrumental methods. He wrote one for the Pardessus de viole, and another covering the double bass and viola. He wrote music especially for these method books, and it is rarely heard. 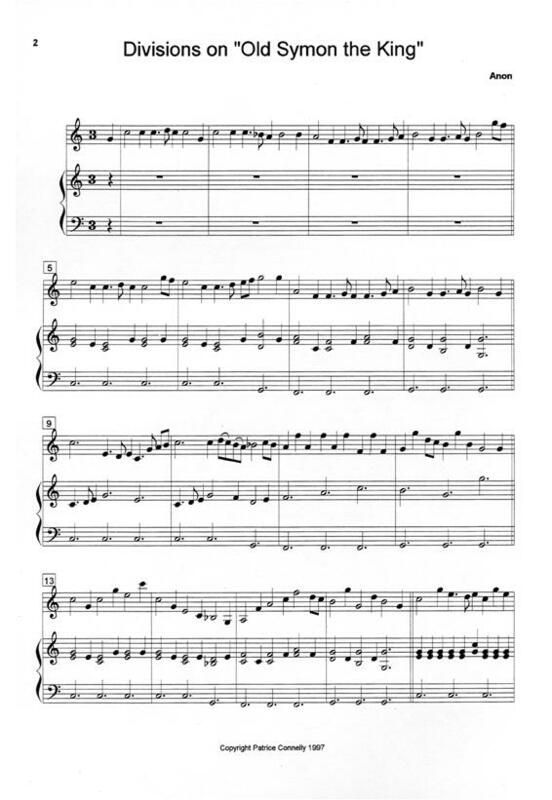 This publication brings together the duets for two pardessus de violes, which have roughly the same range as the violin, and the duets for two violas, which have been transposed up a fifth. 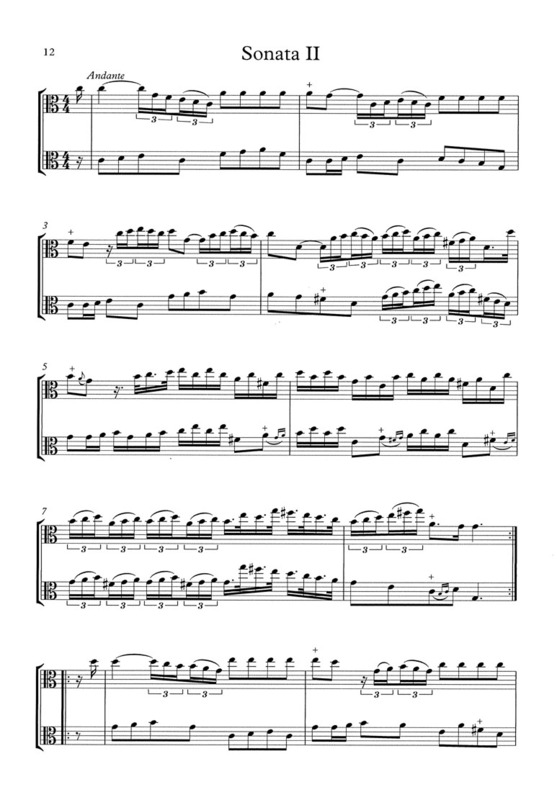 The book includes two sonatas, and several single pieces. Two scores. 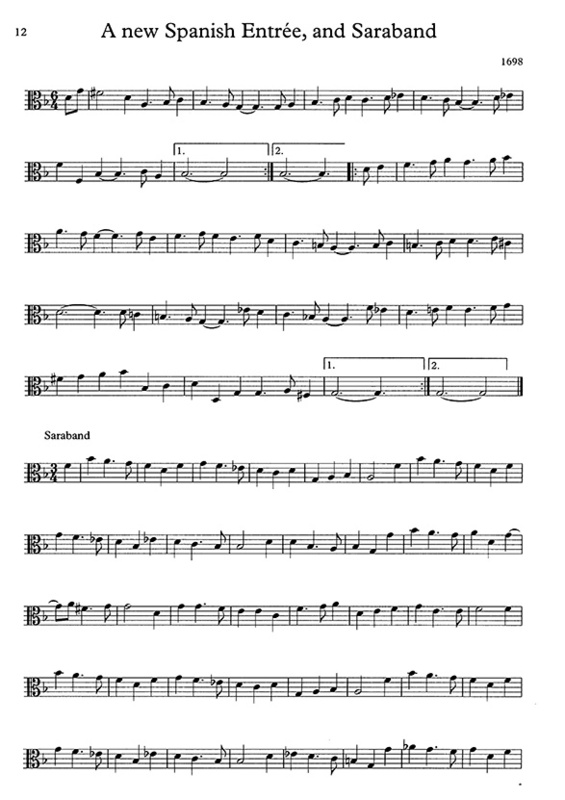 Music as above for SM117, but transposed down a fifth for two violas. So the viola music is at original pitch and the pardessus music is a fifth lower. You really can't go wrong with Purcell, can you? He was such a great composer. This edition presents the four part string music from The Indian Queen. It's also playable on TrTrTB viols if you're willing for the bass to tune down to low C, and have the trebles go above the frets quite often. Score & parts. These wonderful Fantasias and In nomines were written for viols but can also be played on violins, violas and cellos. For more information, click here. 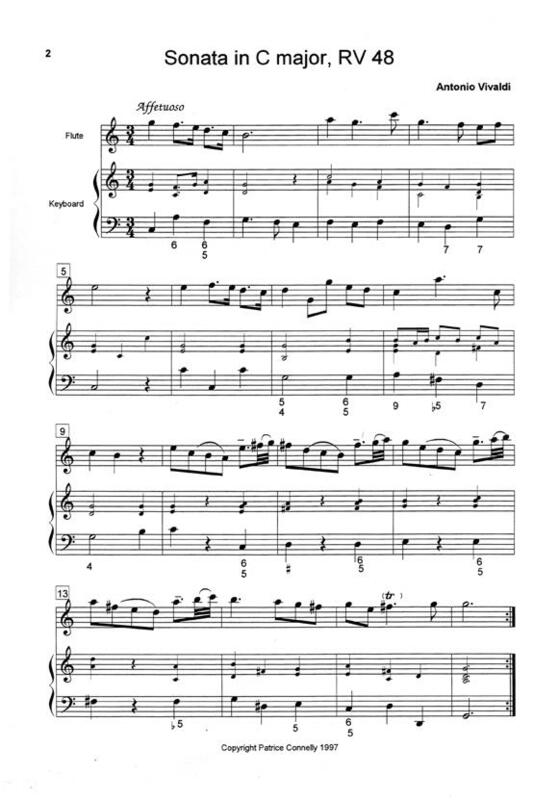 Thirteen easy to intermediate trios arranged for three violas. A number of these come from the Dutch anthology T'Uitnement Kabinet, while other pieces are by Michael East, Adrian Willaert and Thomas Weelkes. Score and parts. This is a collection of pieces from the various editions of John Playford's The Dancing Master. All fit on viola in first position, and tenor viol, almost all in first position. Ranging from easy to intermediate, these country dances are fun, quirky and quite performable too. All have been transposed into alto clef from treble clef, and into user-friendly keys. Dutch composer Willem de Fesch was an almost exact contemporary of Handel. This collection of 6 sonatas was written for two German flutes or violins, and first published in England in 1739. 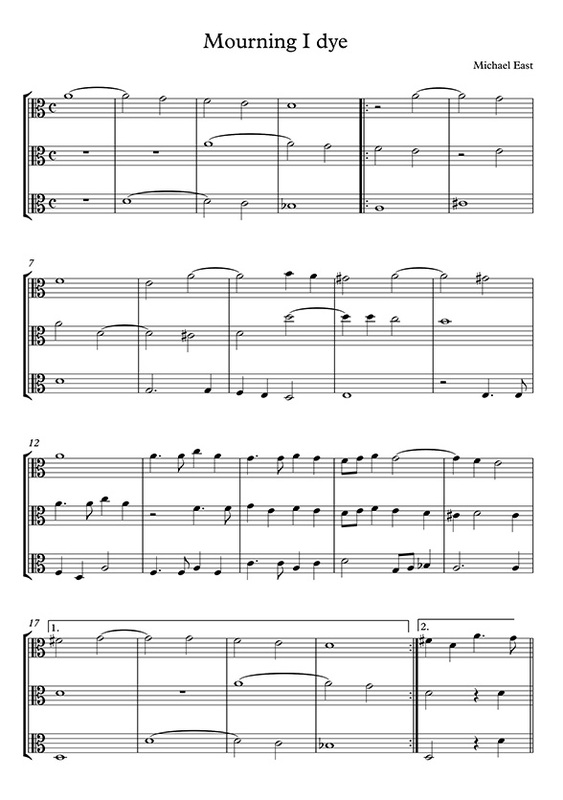 Saraband has published the original version, which may also suit recorder. 2 scores. For a sample page and an audio file, please go to the recorder & wind page. This is a collection of 39 short unaccompanied pieces for violin, mostly scotch-measures, but a few strathspeys and reels interspersed. The book was published in 1700 by Henry Playford, son of John Playford. It's an absolute gift for anyone with a passion for Scottish folk music. There's also SM159a, which is the same, transposed for viola. Same price. 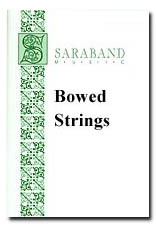 See also the pages for viols and the chamber music, as many of these works are playable on other stringed instruments.